"A wedding to plan. A wedding to stop. What could go wrong? Cassie loves Henry. Henry loves Cassie. 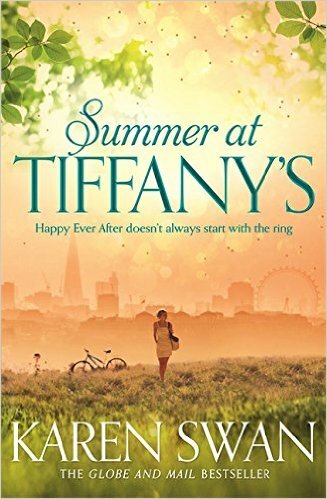 With a Tiffany ring on her finger, all that Cassie has left to do is plan the wedding. It should be so simple but when Henry pushes for a date, Cassie pulls back. Henry's wild, young cousin, Gem, has no such hesitations and is racing to the aisle at a sprint, determined to marry in the Cornish church where her parents were wed. But the family is set against it, and Cassie resolves to stop the wedding from going ahead. When Henry lands an expedition sailing the Pacific for the summer, Cassie decamps to Cornwall, hoping to find the peace of mind she needs to move forwards. But in the dunes and coves of the northern Cornish coast, she soon discovers the past isn't finished with her yet . . ."
It was delightful to revisit Cassie and Henry and the old gang. Whilst I would love to have re-read Christmas at Tiffany's before embarking on this new journey (to refresh my memory and re-immerse myself in their world), I couldn't bear to wait and found myself driving in as soon as the book dropped through my letterbox. There came a point where I thought I knew the ending but the journey that takes you there is as winding as the roads down to Cornwall and I found myself doubting myself constantly as there are so many forks in the road making you feel like you could end up literally anywhere. However, the story is delightful and engrossed me fully; I absorbed the book in one weekend and it left me with a massive smile on my face. Christmas at Tiffany's is a hard act to follow and I'm not guaranteeing this sequel will live up to its predecessor but it's a lovely opportunity to revisit those much loved characters and see what they are doing now! I don't think there is a particular need to have read the first book, however it might help you understand the turmoil Cassie experiences - I don't deny it can be frustrating and it might be even more so if you don't fully appreciate her history. Karen's writing, as always, conjures up vivid images in your mind so that you get to really live the book rather than just sit and read some words on a page. As always, I eagerly await Karen Swan's next masterpiece. 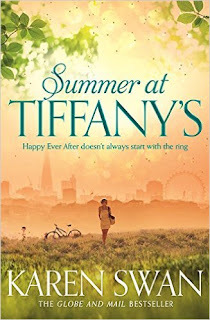 Thank you to Pan Macmillan for the ARC of Summer at Tiffany's in exchange for an honest review.